It’s been 3 weeks since I have been away from the blogosphere. Now there is a lot of pressure staring at this blank post. How do I return with a big enough splash to warrant the empty pages left by my busy life? Even today, with all the time in the world to write, I am at a loss for something spectacular to discuss with my followers, so I will just sit here with my adult beverage and talk about what I have been up to on my vacation. 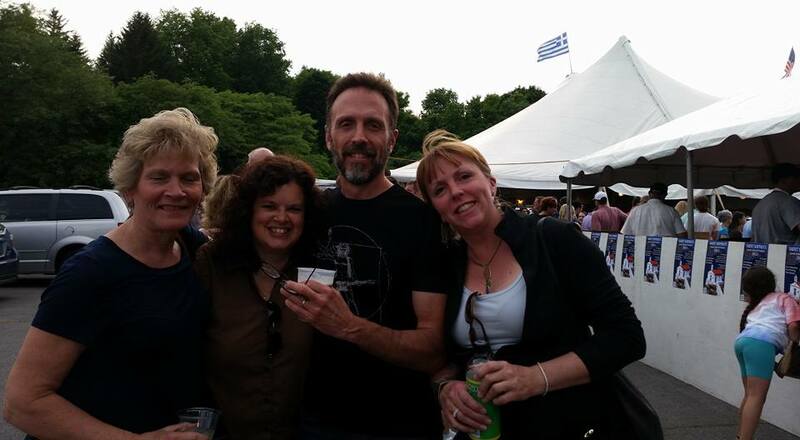 It’s been 5 days since I attended Greekfest with my favorite Greek family, the Plessas’. We braved long lines for food (but no lines for drinks!) and enjoyed Greek food, Greek beer, Greek music, and traditional Greek dancing. My friend Nik danced with two of the groups and did an amazing job (go Nik!!). We ended up running into 4 of John’s siblings and had a really fun family celebration. The Greek coffee kept me awake much of the night, so I had a lot of time to reflect on how much fun it was! Pictured above: Bridgette, myself, John, and his sister Therese.